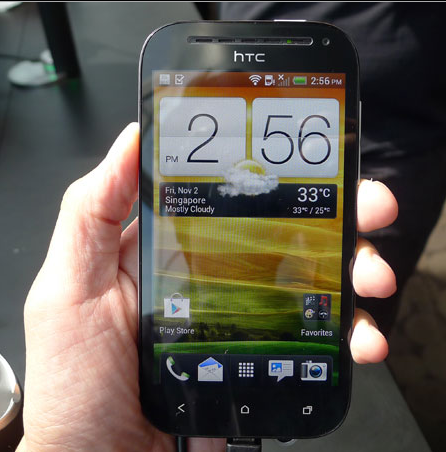 The One SV is the latest in the One Series of Smartphones from HTC. In fact this particular iteration has a lot in common with the VX. The major difference being, that the VX is on the shelves of retailers in the West, while the One SV is currently only on sale in Singapore and will be soon available in other Asian countries and Australia. There is absolutely no mention of when and if the device will be rolled out in our part of the world. There is a good probability that it will not make it here. This device from the Taiwanese manufacturer is a mid range Smartphone, offering pretty good features for an price conscious user. The camera is really a quick snapper and you can start it up directly from the lock screen. The shutter is nearly as fast as that of the One X and the camera boasts all features found in the HTC One series Smartphones. The one press continuous shooting feature allows you to capture moving shots while recording video at the same time. You can click 4 shots a second… that is amazing. Thanks to the back side illumination, you can now take very flattering photos of yourself, even if the lighting is dim. The phone is sleek, and comfortable to hold, and at less than 150 grams in weight, is a pleasure to carry in your pocket. The metallic bezel that encases the phone gives it a real cool look. There is no official word on the battery life but I have a feeling it won’t be too great. Consider yourself lucky if it lasts the whole day, especially with the LTE speeds. To give a quick verdict, for the asking price ($688) it’s probably a little steep in its category, but a good phone none the less.